I am already thinking about summer and my new wardrobe. I seriously can’t wait for what I’m hoping will be a very hot summer and wearing some strapless dresses and strappy sandals. 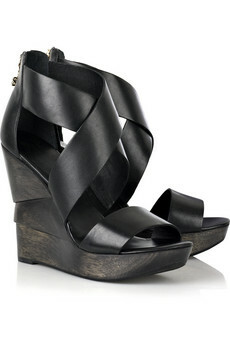 What I’ll most definitely be buying is a pair of new wedges. I love them every season of the year, but in the warmer months, they are the most usefull, because of the comfort. I checked the web for inspiration and this is what I’ve discovered so far. Hope you like them as much as I do.